Offering you a complete choice of products which include multiseal gp. 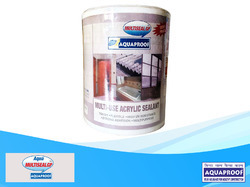 Aqua Multiseal GP is a grey coloured ready to use general purposeAcrylic sealing paste. Odourless can be painted over it. Strong adhesion to the most building material. Not suitable on soft plastic, bare metals, bitumen or tar and also for any other under water joints.